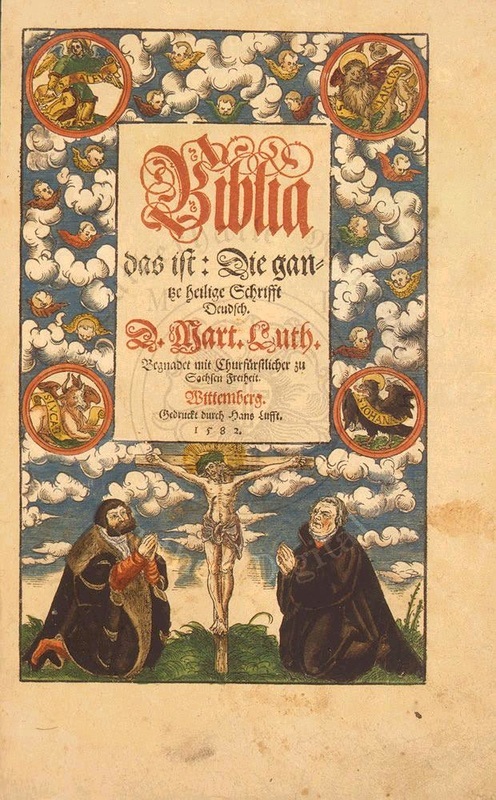 A copy of Martin Luther's Translation of the Bible into German. See Luther and the elector kneeling before our Lord. Below you will find resources for Bibles and Bible Study. Simply clink on the link below the description and you can buy online. You can also look up these titles on Amazon.com if you are so inclined to find a deal. This comprehensive Bible overview is a revision of the much-loved Christian education classic, Advanced Bible History. This curriculum resource has been expanded to include additional Old and New Testament Bible stories and stories of the early church. The student book includes Bible stories, study questions, Bible passages, catechism sections, and suggestions for the study of hymn texts. Updated four-color maps, historical notes, review questions, and projects for each unit reinforce lessons in a student-friendly format.